Summer is the season of abundance... it is also the time for landscape photographers to set into motion the plans made during winter. 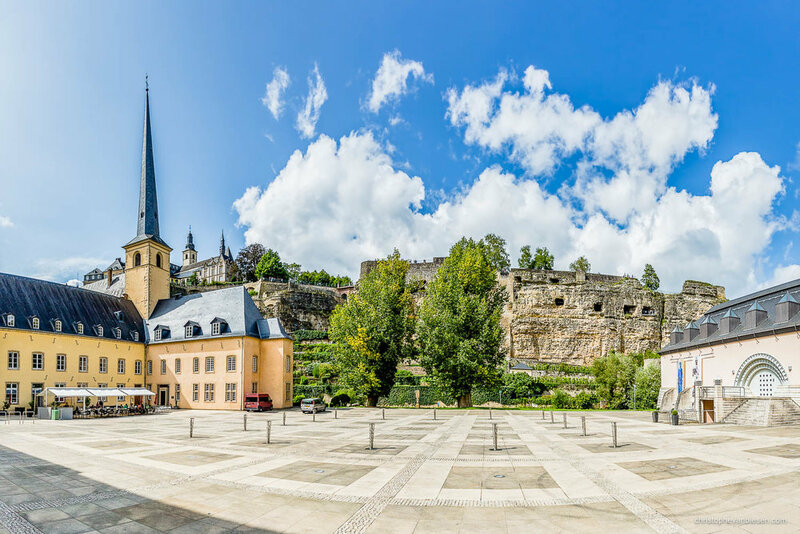 After having written articles about autumn, winter and spring in Luxembourg, it was just a matter of time before I had to write this short article about summer in Luxembourg. When I look at my portfolio of pictures made in the city of Luxembourg, the majority features lush green trees and a living, breathing city. That is because a lot of those pictures were made during summer, when the city looks its best. When nature reaches its peak and every tree is wearing a thick dress of leaves, an abundantly green city like Luxembourg comes to life. The valleys like the Pétrusse and the Pfaffenthal, which possess dense forests really stand out. And when the weather plays nicely, it can give you amazing sunsets and sunrises. Put all these elements together and the pictures practically make themselves, well... not really, but you probably get my point: summer is a great time to make landscape pictures. I have been living in Luxembourg for more than 7 years now. I did become serious about photographing the city of Luxembourg and about photography in general back in 2012. Before that I mostly used my camera for private pictures of friends and family. When I think back at one picture that really kicked off my ongoing "mission" to capture unique views of my adopted home country, it would be my photograph Treasure Tower of Luxembourg's BCEE tower that I made in June 2013. This picture quickly became one of my most successful photos. It won a photography contest back in 2014. It sold numerous times over the past few years. It is one of the official postcards of the Luxembourg City Tourist Office (you can purchase it in their office on Place Guillaume II). 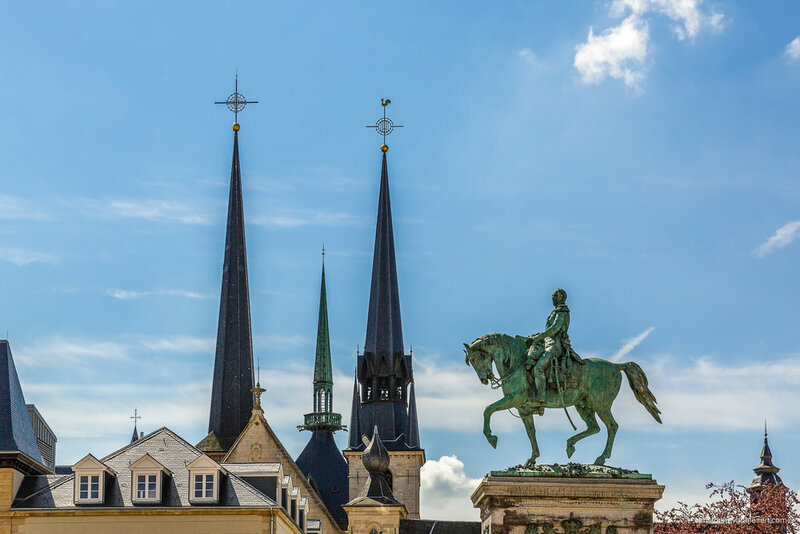 Very recently, it became one of the featured pictures on the Log-in page of the S-net platform of the BCEE - Spuerkeess, Luxembourg's national bank. That page is visited by thousands of people every single day. The success of this one picture has been a driving force to my motivation to get better with every new picture I make. When there is no snow in winter, it's the perfect time to plot and plan the pictures you wish to create once spring and summer come along. As always, I want to photograph the city from new angles and from new points of view. This year, I discovered quite a few interesting spots, but most of them had to wait, until the city's forests were back to full strength. And now that summer is in full swing, I am doing my best at photographing them all one by one. Of course, the weather still plays a big role in getting that perfect sunrise or sunset, but up to now we have been quite lucky this season. I am really happy with my picture Golden Old Bridge that I made a few weeks ago. 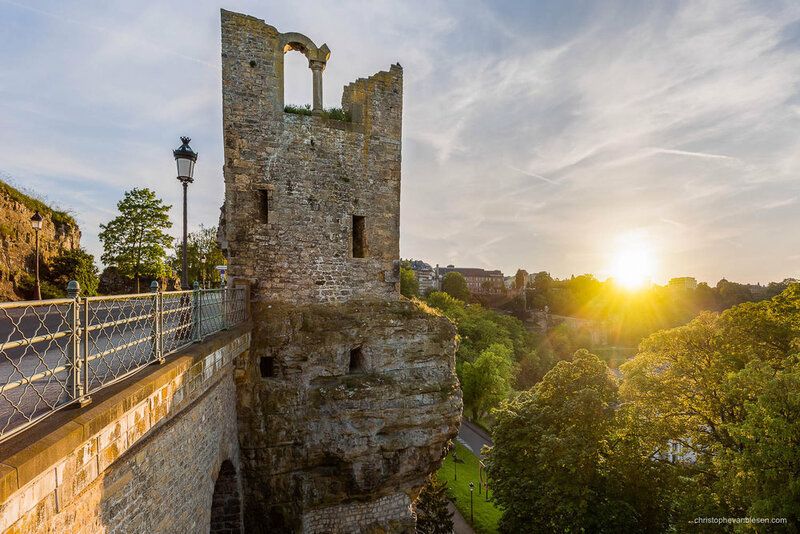 The light was just perfect on that day, drawing shadows all over the arches of the Old Bridge and illuminating the ancient fortress of Luxembourg. For my picture Summer's Embrace, I visited a spot that is featured a lot on old postcards of Luxembourg City. Unfortunately, the forest has grown so dense around this place, that the particular point of view that I was looking for does not exist anymore. I also wanted to create a new series of pictures made exclusively with a 400mm lens to create close up views of distant landmarks in the city. I called this new series The City's Watchtowers. You can of course see most my pictures made in Luxembourg City in the Gallery.